Light body-brushing performed with pure essential oil used as a natural exfoliating scrub. The total body massage that follows concentrates on soothing away tiredness, stress and alleviating tension, inducing relaxation to the body and mind. This treatment, inspired by the grooming rituals of the Classical-era beauties, consists of a total body aromatherapy, a drainage massage, head and face massage, reflexology on feet/hands/ears, and Shiatsu (triger points). A detoxifying treatment performed specifically on legs. It activates the lymph glands to flush out liquids, thus making the muscle tissue firmer. Ideal for combatting cellulite and stimulating your body systems. A unique treatment specially designed for children. Touch is a natural healing therapy. The Kids Massage is ideal for boys and girls aged 5 to 16 years. Natural hypoallergenic oil is applied with a gentle massage. 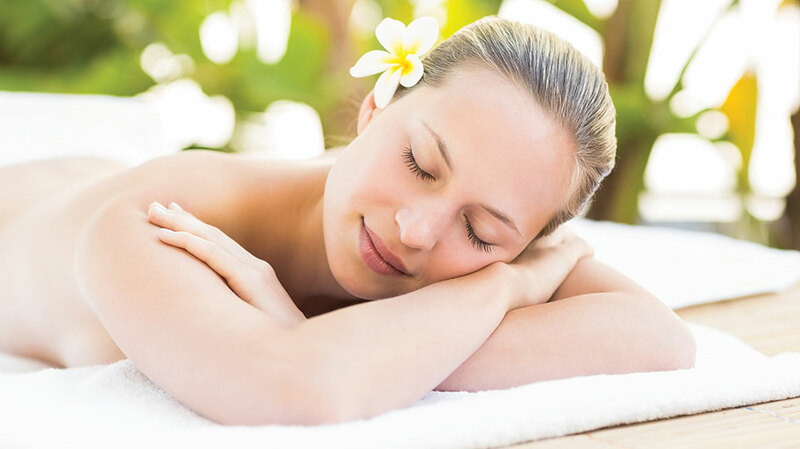 The qualified therapists gently massage the muscles and joints (hands - back - legs - face- neck - scalp - hair). Regular treatments help to reduce tension and offera sense of relaxation resulting in tranquil, restful and quality sleep. The massage helps in muscle and bone development and enhances movement and flexibility. Treatment for youngsters and teenagers provides a sense of reliefand security, while regular use can help the child gain balance and maturity. Relieves stress that causes muscle tension. This amazing therapy rejuvenates the body by using deep pressure massage – no wonder it’s the favourite massage in the best spas worldwide! Deep muscle groups are massaged using fingers, fists, forearms or elbows. The result is complete rejuvenation, toning and relaxation that relieve pain, reduce stress and fight inflammation by improving posture and sleep quality. A complete body treatment using essential oils made from plant and herbextracts. The oils have either detoxifying, stimulating or relaxing properties chosen to suit individual needs. The aroma from the oils has a therapeutic effect, inducing a feeling of well being. at the same time strengthens the blood circulation and enhances the lymph flow of the body. The specialized, soft and caring handling of this technique offer a safe treatment that embraces your needs as well as your baby's. This relaxing massage performed with warm essential oils on the pressure points of the neck, scalp, ears and face concentrates on soothing away tiredness, stress and tension. A wonderful treatment for headaches, stiff and tired muscles as well as obtaining harmony to body and mind. Book your room online & Save up to 20% on the "Love Potion for 2", "Marine Ritual", "Age Antidote" & "Elixir of Life" treatments.